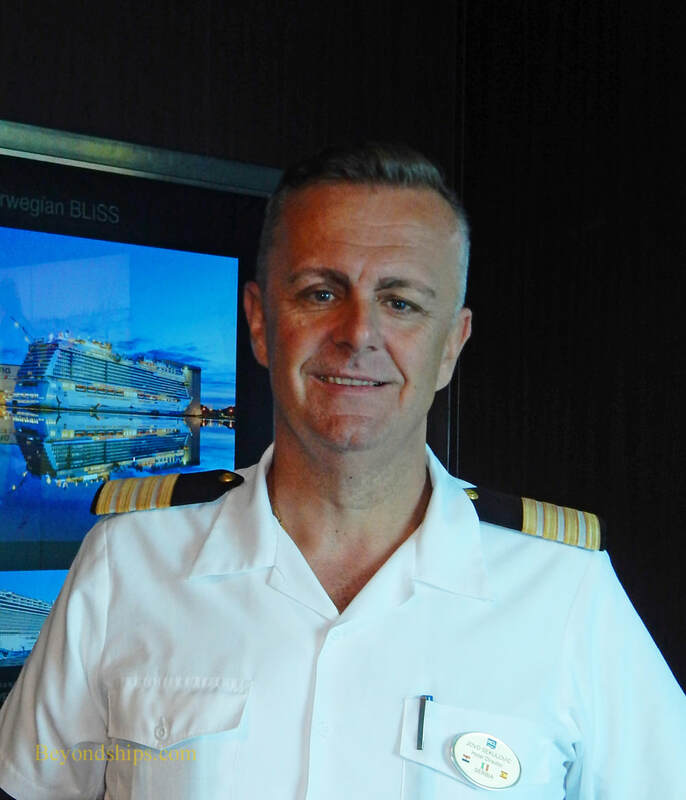 Hotel Director Jovo Sekulovic has known Norwegian Bliss from the days when she was under construction in Germany. He was with the ship during her first Alaska season, through her transits of the Panama Canal (she is the largest cruise ship to make such a journey) and with her cruising the Caribbean. Although similar in many respects to her predecessors, it is clear from just walking around the ship that Bliss is different. The atmosphere is more upmarket with more original artwork and changes in décor. Norwegian has always been the revolutionary kid on the block, always. Of course as the technology advances, there are many, many things that are being implemented. While technology can help to make the cruise experience more enjoyable, the key factor remains a friendly and willing crew. Therefore, much of the focus of the senior officers is on motivating the crew.